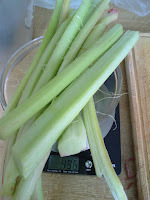 Time for something new, not tried this recipe before, but with quite a lot of rhubarb to get through, it seems like a good idea! In Yorkshire, an area between Leeds and Wakefield is known as the "Rhubarb Triangle"
The rhubarb in the allotment was originally a root cut off one winter from some from my mum's plant, which is from the same type of soil just outside the designated EU area - that being said there was a forcing shed near their house. 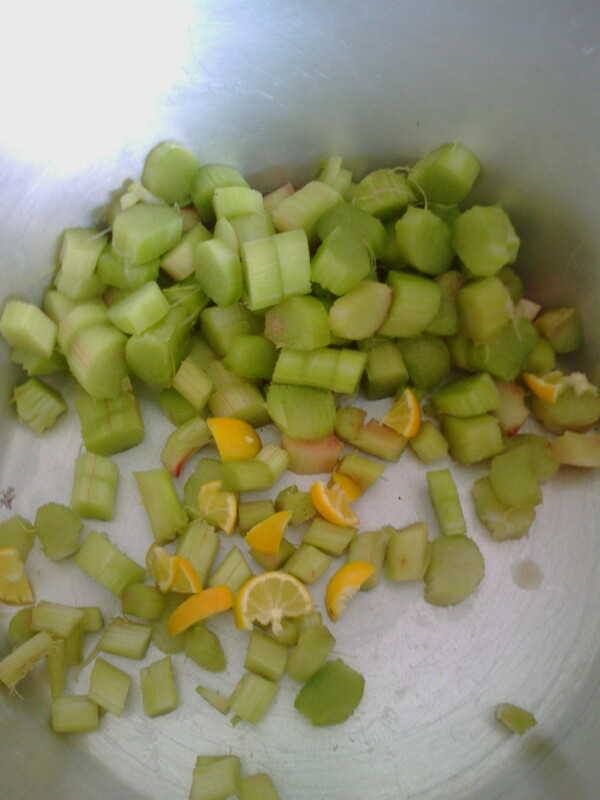 1kg rhubarb, washed, peeled and diced. 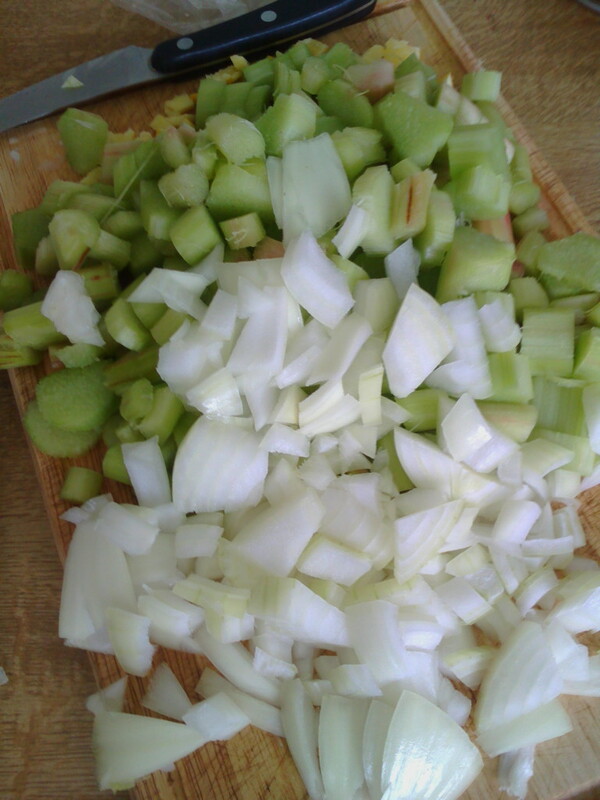 First step is to wash, peel and chop up the rhubarb, sometimes you can just peel it straight off with your fingers, but sometimes you can - pointing away from you - pare the skin off as if you were whittling a piece of wood. 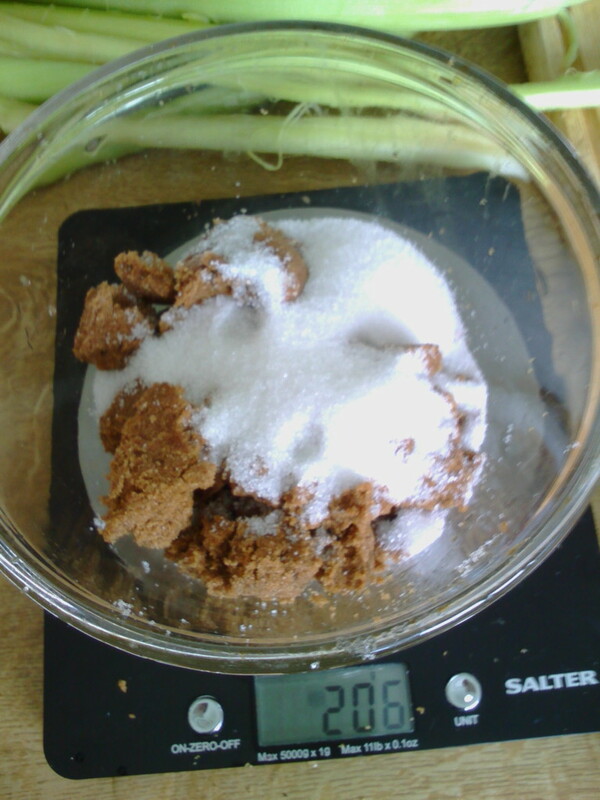 Dice up and place in a large saucepan. 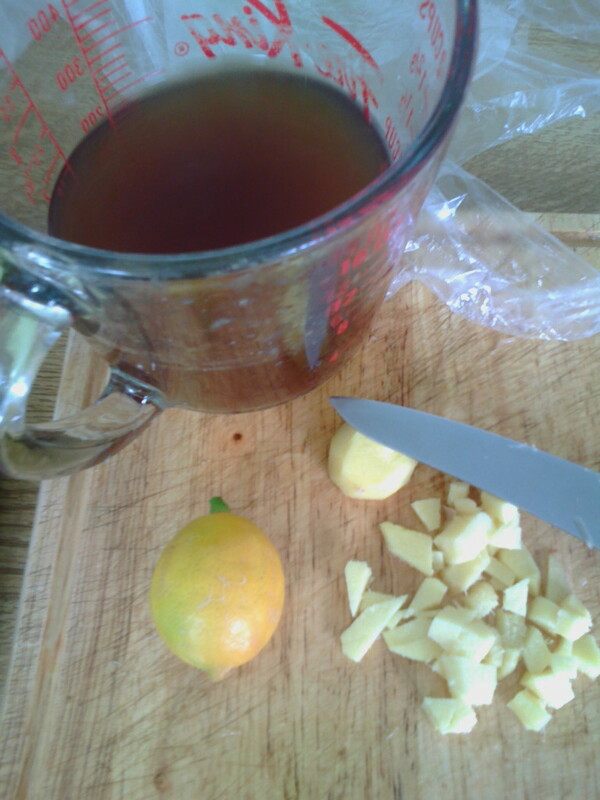 De-seed and chop up the lemon roughly. 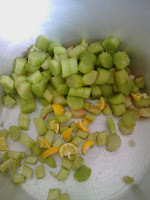 Peel and chop up the ginger and weigh out the sugar, and measure out the vinegar. 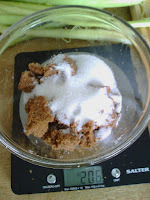 Note that I have used a mixture of dark brown and white sugar but all it does is vary the colour of the chutney. Add all the ingredients to the pan, and then boil up and simmer until everything goes mushy. 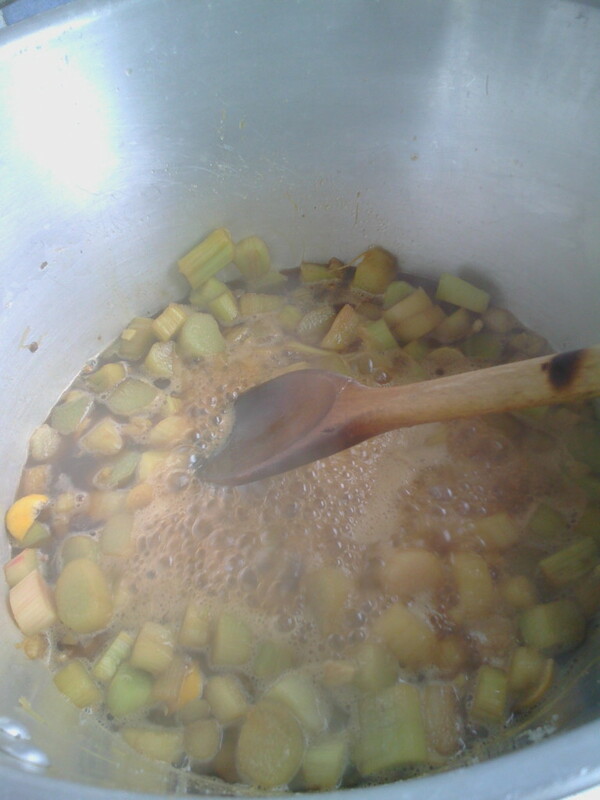 Then, using a potato masher, mash up all the mixture and then boil up until the vinegar has reduced and the chutney is rather sticky and clingy. Then spoon into sterilized jars - it's easier using a funnel on top of the jar, seal and allow to cool before labelling up.